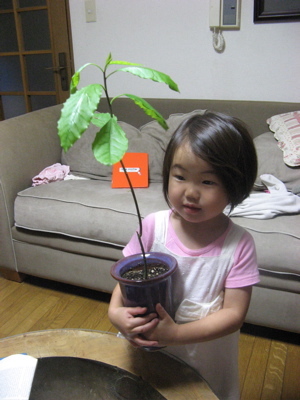 The avocado seed that we planted several months ago is alive…and quite well! Last week, I realized that it was dry and has started needing much more water than it previously did. I thought maybe it was from the crazy heat we have been having the past few weeks…and Eric said that the water evaporates from the leaves, so since the leaves have increased and grown big, it makes sense that the plant would be needing a lot more water. 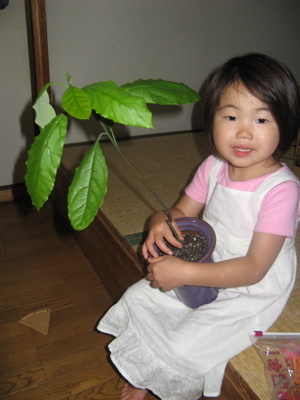 The past two weeks I felt a lot like this avocado plant…pretty dried up. The heat was on us this summer, with our leaves spread pretty far out… a good deal of excitement with a great team here — daily ministry activities, lots of people in and out of our home, a lot of driving and coordination of details…Juggling ministry, family, marriage, and not always doing a good job of it. We spread ourselves too thin and had no reserve left to give. **processing – Eric’s been good at talking through things; I’ve been committed this year to journaling a little bit each night…and blogging! **perspective – preparing for the seminary course that I am teaching has helped bring perspective…see my areas of weakness… seek to grow from the challenges. **Coffee shops–I’ve visited the five coffee shops in Sanda while preparing for my class — these renew me! (Though it is disappointing that only one has wireless internet access and only one has easy outlet access). 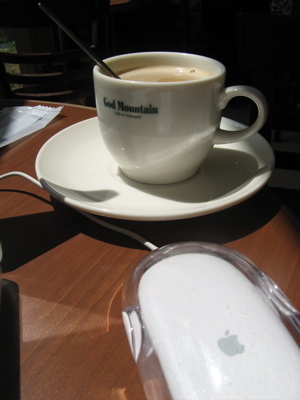 Korea has prayer mountains; Japan’s most interesting coffee shop is God Mountain….good, strong coffee. **affirmation — a strange one to include here….but a foundational leadership principle is that we all need affirmation from time to time. We can receive divine affirmation (falling stars! ), ministry affirmation (George’s decision on Sunday), and/or affirmation from others. On Sunday when our house church had a non-surprising surprise party for me, they went around as an ice breaker and all shared something about me. I rolled my eyes and thought, please no! I really really don’t like this kind of thing… But as they shared stories and reflections, I felt the Lord encouraging me to accept those words as a means of replenishing my heart. To know that despite my many weaknesses, mess-ups, and times of not trusting God enough — that God is with me; God is for me; God is continuing to use us in this place. I can keep growing. My roots, and leaves, are feeling less dry. What about you – what do you need to replenish your roots?